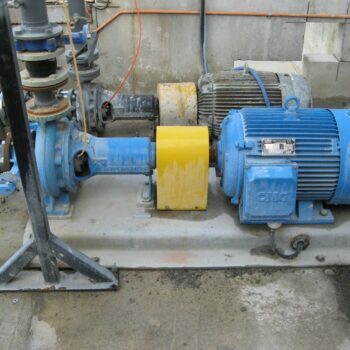 A large concrete products manufacturing site in Auckland were having issues with the pumps pumping waste water from their settlement pond. 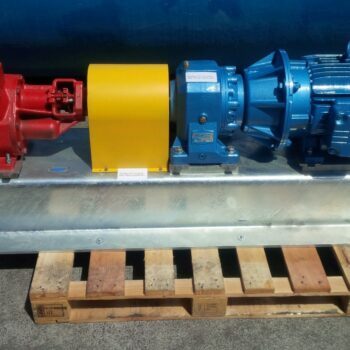 Mechanical seals would fail regularly from being dry run and – if the dry running did not wreck them – the fine cement particles in the waste water would. Typical mean time between services was 6 months or less. 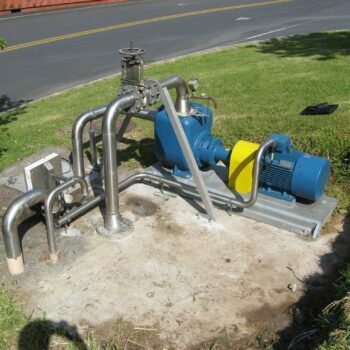 A waste water treatment plant had been using Bredel pumps for pumping sludge around the plant. The hose life that they were getting from the Bredel hoses varied between 1,000,000 – 3,000,000 revolutions. This life was less than ideal and – as the operator put it – they always failed on a weekend or a Friday night! 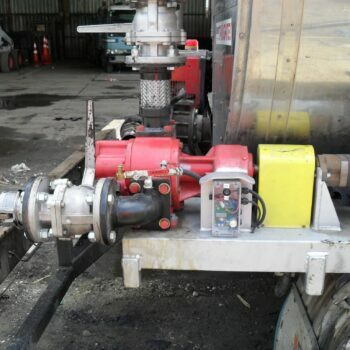 A large roading firm wanted a pump for unloading bitumen from their trailer at a flowrate of 600l/min. The pump needed to be hydraulic driven as electrical power was not feasible. The bitumen temperature was between 160 – 180°C. 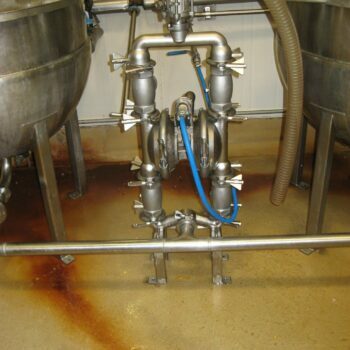 A large dairy factory required a pump for pumping their trade waste up and out of a sump and into their trade waste treatment plant. A client approached Pump & Valve with a requirement to pump the steak and gravy filling for a well-known pie brand. The filling was for their premium pies so the pump had to be able to pass larger than normal pieces of steak (2cm³ – 3cm³) without damage. The steak and gravy filling had to be pumped directly out of the cooker so not only was the mixture hot but the steak was very tender and pulled apart very easily. 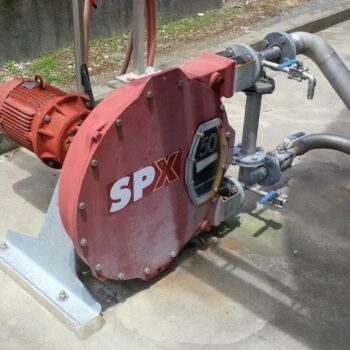 A customer required a pump to transfer resin from delivery vehicles to bulk storage tanks. The key requirements were reliability and good suction (as the pump had to be mounted above a bunded area and still be able to pull the viscous resin up and over the wall in order to transfer it to the tanks). The flowrate required was 30,000l/h against a pressure of 2 – 3 bar.